I searched multiple forums but could not find a similar issue and an answer. The issue is on a 1985 300ZX na, manual, with A/C. The alternator was replaced a few years ago. I found a single small (16 gauge) hanging wire, coming from back of alternator from one of the post connector. 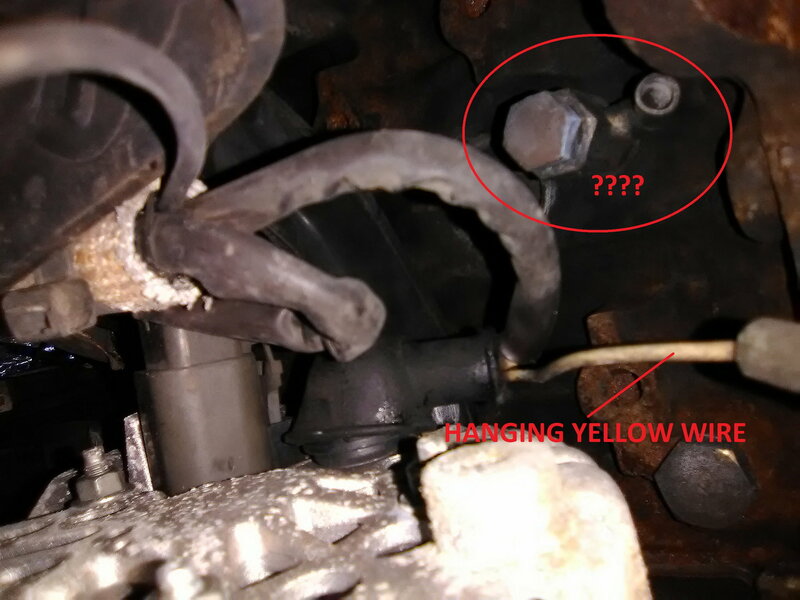 It is a single small yellow (or light brown) coming from back of alternator, then goes into a single type connector casing, then the hanging end of the wire is black. I posted a few pictures to show what I am looking at. 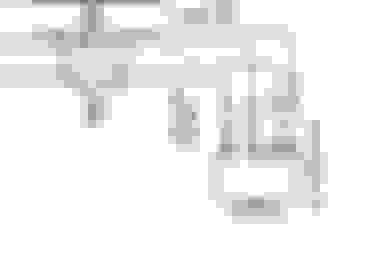 The FSM does not show or refer to that wire at all; I attached a picture of the page 24 of the FSM. Does anyone know where that small wire is supposed to connect to? Could it be a wire for a condenser that should be bolted to the back of the alternator to keep static out of the radio? 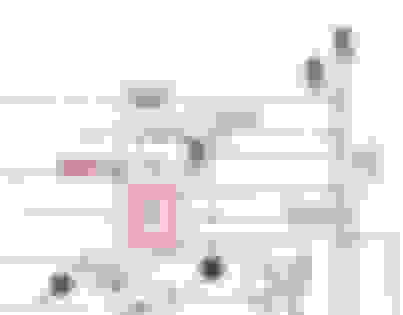 If yes, where and what type of condenser to buy? Where to get that Condenser Noise Filter Suppressor for the alternator? 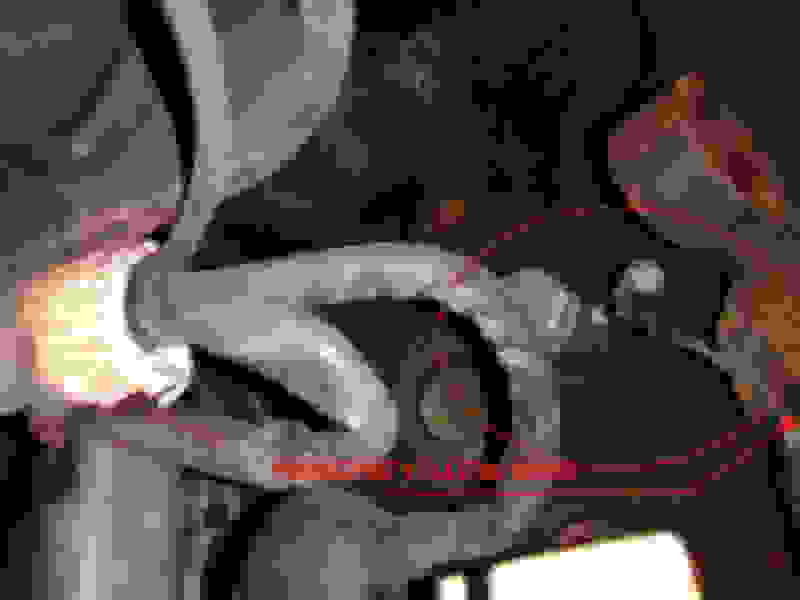 The hanging wire with the female bullet terminal is connected to the cable that screws onto a circuit bolt (10 mm copper nut). 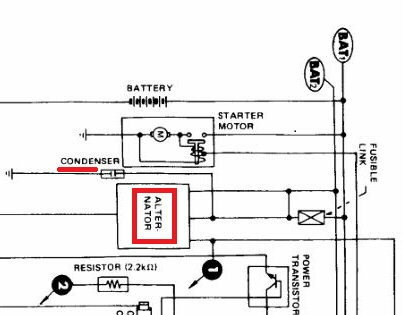 A member informed me that there is a condenser shown in the circuit diagrams on both the digital dash and analog (needles) dash of the "1985 300ZX Factory Service Manual", with the wire of the condenser attached to the wire (or alternator circuit bolt if it is not a plug/socket connection) that goes from the alternator to the fusible link. No reason it can't be a generic condenser for ignition. The capacitor is fairly forgiving as long as it's rated for 12VDC or up, which any from an auto parts store will be. A larger condenser will be capable or providing more noise suppression but if too large just takes up extra space. Up to now I was not able to find a local car part store selling a condenser / capacitor. Hope this helps if someone else has a related question. the noise supp. Were tiny 18 guage wires, thats 12 or 10 guage and mounted to the alt . 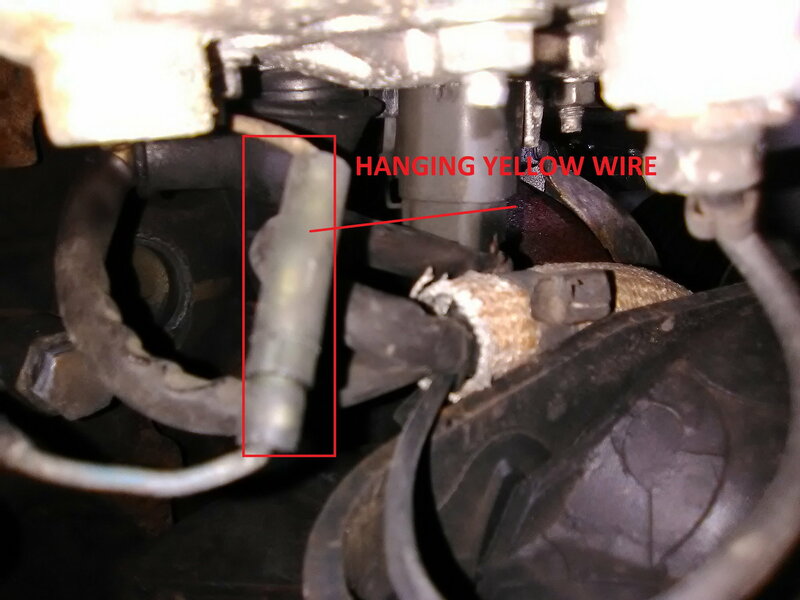 Need to know what what color wire is behind the main AC compressor wire? What caused this alternator wire meltdown? 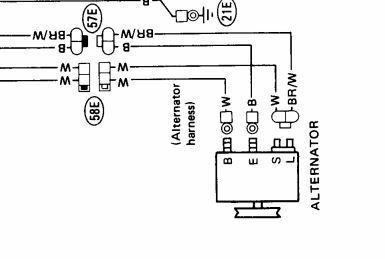 wires on the back of the alternator?